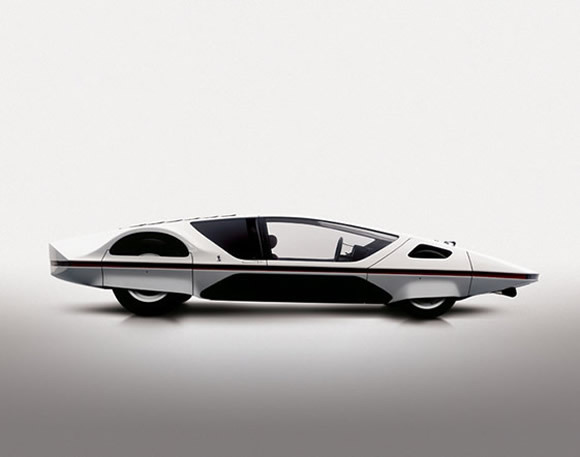 The Ferrari Modulo Concept was created by Pininfarina in 1967 and unveiled at the 1970 Geneva Motor Show. I really like concept cars from this time because they are just so far out and imaginative. Like the 1966 Toyota Concept in a previous post the Modulo shows designers were thinking space travel would be a reality for everyone and designed cars to suit. The only drawback to this concept is it can't be driven and that's a shame. Be great to see this cruising down a highway. Check out more amazing photo's of the Modulo on weheart.co.uk and more about the Modulo here and here. Designer Paolo Martin really fought to have this beautiful car built and the subterfuge and hard work he put in really made this car and add to its beautiful legend. I had a little diecast model of one of these when I was a kid, and it was the coolest thing ever. I can still remember how different it felt in my hand to all the other toy cars I had, like a tiny blade or wing. That is very cool Chris. What a great memory.